One Nut Pastor That Fooled The World! – Indonesian President used some harsh language towards US (to appeal its citizens but neverthless). – Afghans took streets in protest, NATO camp was attacked by mob, a US soldier shot dead an Afghani protestor. All this for total nonesense because of One Nut. – Mr Imam Feisal Rauf of Cordoba Initiative (aka NYC Cultural Center) according to the Nut Pastor apparently cut a deal with him to move the NYC Cultural Center away from Ground Zero?!?!? Like Seriously !! 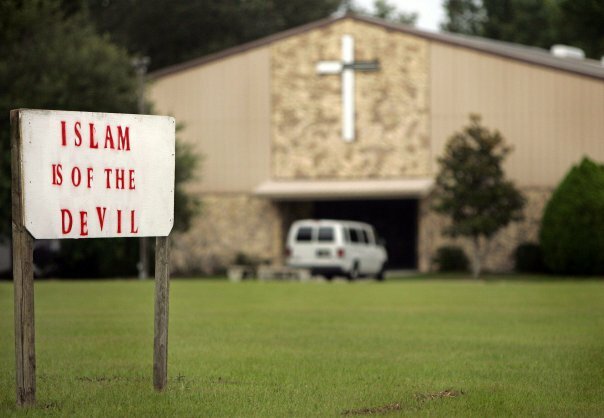 – Imam Muhammad Musri, head of the Islamic Society of the Central Florida stood at Pastor Nut’s media conference and said that he feels that the Mosque should not be built near Ground Zero. Interesting because [1st] Its NOT a Mosque, its a freeken Cultural Center. [2nd] A Mosque has been there at that spot for all these years !